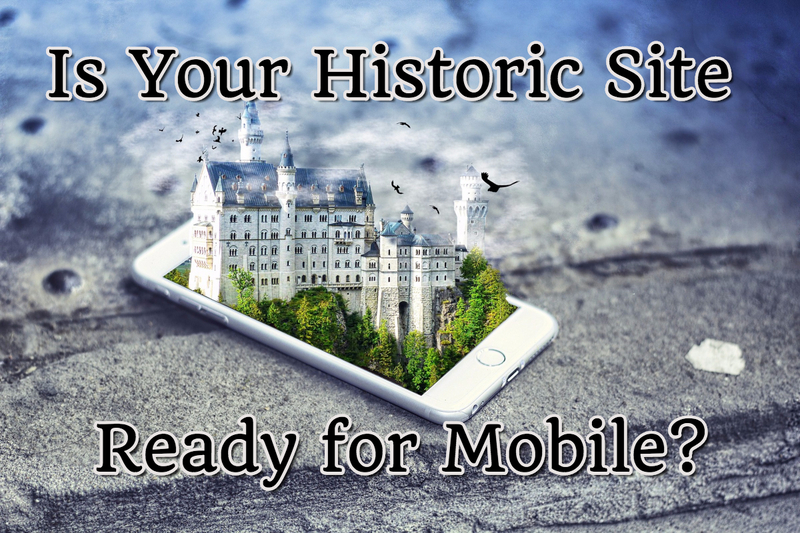 Is Your Historic Site Ready for Mobile Devices? 1. Check your website to see if it’s “mobile-ready.” Websites can be designed to look great and perform well on computer screens, tablets, and smartphones, but your website may not have those features. In the old days when I was at the National Trust (that’s five years ago on the Internet), we had to achieve this versatility by building separate websites for desktop and mobile users. Today, websites can be coded to recognize the device and redesign the layout on the fly. You can check out your capabilities by collecting a computer, tablet, and smartphone to look at your website on all three devices, but often there are preview tools built into your web design software. For example, if you’re managing your own website using WordPress (version 4.5), the Appearance menu allows you to see how it will look on various screen sizes (more details at WPSmackdown). In WordPress 4.5, you can preview your website on various devices through the Appearance menu. 2. Check the download speeds for your website. The target is three seconds although most travel websites (that includes historic sites and museums) take more than ten seconds to load. Home pages filled with images, animations, and movies may be beautiful, but they also slow down the speed of transmission. 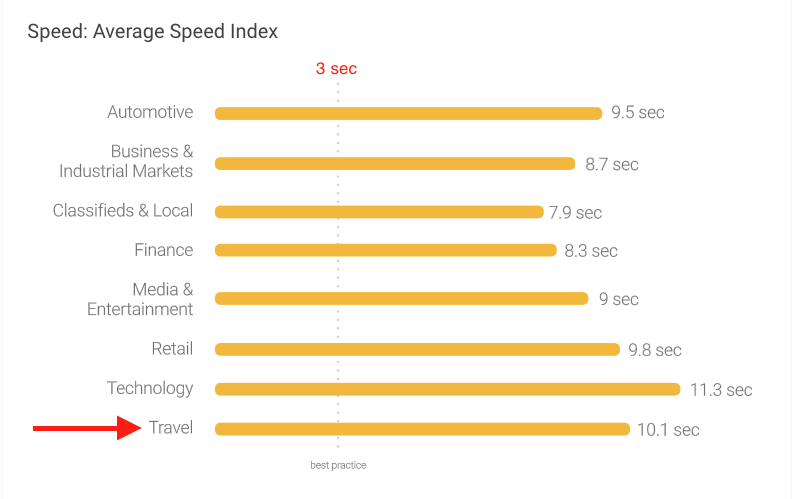 Google can test the speed of your website and offer suggestions to improve its performance. It’s free and takes just a few second (this website came in at Poor for Mobile and Needs Work for Desktop so I’ll be working on this, too). You’ll need to find a balance between speed and eye candy, but an easy fix that often doesn’t require any compromise is reducing the size of your images. No, I don’t mean making them appear smaller on the screen but eliminating what can’t be seen (most computer screens are limited to 72 dpi but you may using a 300 dpi image; that additional detail isn’t visible but clogs the plumbing). Some handy tips for overcoming page bloat is available from Blogging Wizard and Dotto Tech. Visitors will often abandon a website if it takes more than three seconds to load. Most websites do far worse. 3. Check the online search results for your historic site AND topics. There’s lots of information available on Search Engine Optimization (SEO) for your website (see Search Engine Watch if you’re unfamiliar with SEO and LunaMetrics for their latest suggestions on SEO tools). You can continue to tweak your website to increase traffic and ranking, but often overlooked is the influence of other websites. Remember that visitors don’t discriminate among online sources, so they won’t care if they get information about your museum from Yelp, Wikipedia, or the local Chamber of Commerce. They just want it fast and won’t necessarily know if it’s incorrect or incomplete. When I search for museums in my county, the top results are from the state archives, state tourism bureau, Wikipedia, and Yelp (twice! )—all would be considered reliable by the public. You’ll need to maintain your information at these other websites, alas (which often requires persistence). Secondly, you’ll want to have a better understanding of the search terms that people use to find you. We might assume it’s “history” or “museum”, but it could be “attractions”, “park”, or “events”. Check the keywords in your website analytics for topics or terms used by the public (you are regularly reviewing your analytics, right?). This is especially important if you have an unusual, cumbersome, or unfamiliar name. You can’t expect people who have never visited to accurately search for the Sewall-Belmont House or the Belmont-Paul Women’s Equality National Monument. “Think with Google” shares “data, analysis, and insights” for marketers based on Google’s vast resources. You can easily subscribe to receive regular updates. This entry was posted in Technology, Travel and tourism and tagged Mobile technology, Think with Google, Website on May 19, 2017 by Max van Balgooy. “The Ultimate Social Media Design Blueprint 2015” at Visual.ly.